For what it's worth, Matthew, who found the previous permit at the start of this thread just found something for an Automatic Transfer Switch replacement. Seems like some minor electrical work, but nothing really giving away when/how the tracks are being removed or rebuilt. 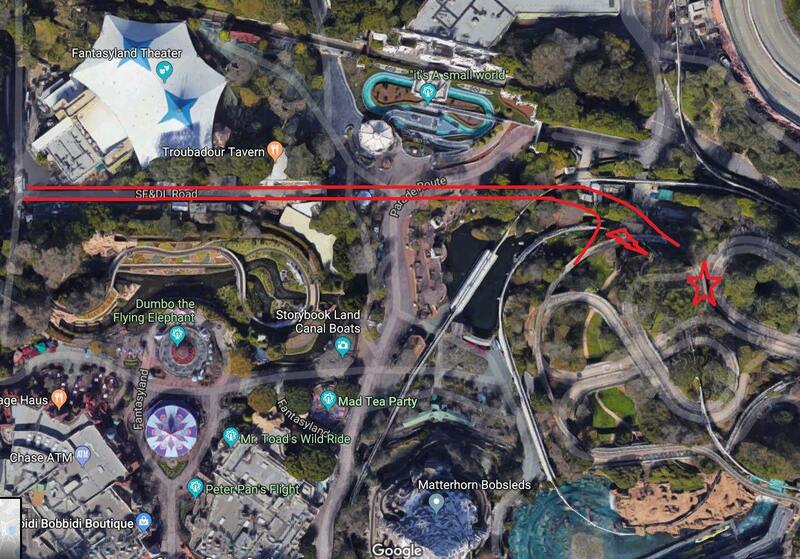 ...Having it traverse all the way to SWGE I think is actually quite difficult as it would have to cut through FantasyLand or find someway to traverse the IASW complex which would be so costly I do not see it happening. I know they moved hills, DLRR tracks and rivers to accommodate SWGE but that was actually much easier then many of the things that would have to happen to go under, over or around FL. They did a MASSIVE amount of work to the DLRR and ROA. When I look at the map I also realize that is an awful lot of expense to get the PM from TL to SWGE. And, then there is the Parade Route to contend with as well. Are they really working on only the Que of IASW at the moment? And, why now? Remember that great big deep hole that was dug at the very beginning of SWGE? Then there was the imagineer who stated that guests would be running from ride vehicle to ride vehicle. It has never been stated that it would be the same type design of ride vehicle. Anyways, this is all just speculation on my part. I have no knowledge from any source other then my visits. Again I would be ecstatic if some form of PM returned It was often my favorite ride during its heyday. But you have to understand moving dirt and false river bed along with tracks and demoing warehouse building's is still far easier in execution then traversing a built out area that cannot be demo'd in the process. IASW is in an above ground building, going over it without ruining its visual facade would be tough and the thought of a tunnel being bored all the way under a 3rd of the park while dodging all of the existing infrustructure is also going to be insanely costly and tricky while providing a very unappealing scenario for many guests. . All this for a single attraction is just not something I see as realistic. I would love to be wrong and for it to happen but the ROI just doesn't add up. I did take note that the permit states "replace" and not "remove". And it doesn't make sense to replace it if the whole structure is going to be torn down in the next few months. It is interesting that the permit lists Rocket Rods instead of PM.